As employees struggle to balance the demands of work and home, e-Learning allows them to learn from work, home and on the road. Cost savings is a key attraction as corporations save between 50-70% due to elimination of travel expenses according to Training Magazine. Affordable online training can be up to 93% cheaper than instructor-led courses resulting in maximum ROI on training dollars. Contact CTC for online training outlines and registration process. You may call us at 408.380.0600 to request information. 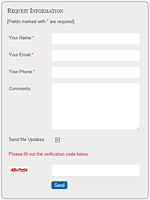 Click Here to contact us using the web form.